Access, Card, and Parking Services coordinates snack and beverage vending for Mies (Main) Campus. 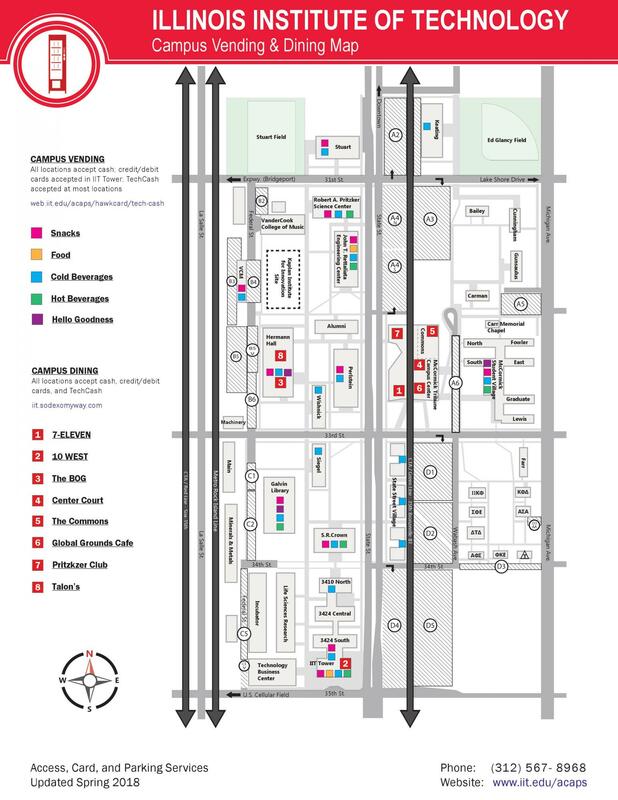 Check out our Campus Vending & Dining Map for locations. Healthier snack and beverage vending choices have been introduced to Illinois Tech by ACaPS by request of the Student Life Committee of SGA. Dedicated Hello Goodness machines reside in Galvin Library, McCormick Student Village, and Hermann Hall to start. Additionally, at least (3) items in every vending machine campus wide are available as healthier alternatives. For cash transactions, refunds may be requested by visiting us in Hermann Hall, Room 201. General service requests, as well as requests for TechCash refunds, email acaps@iit.edu. 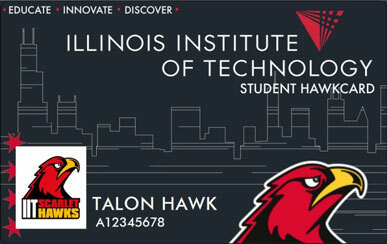 Contact us at 312.567.8968 or acaps@iit.edu with general questions or concerns.